Digital advertising is broken. Users, publishers, and advertisers interact on an inefficient platform dominated by Google and Facebook. With the recent Cambridge Analytica scandal and the introduction of GDPR, it seems public perception of the internet ecosystem is shifting. Brave Browser, backed by the BAT crypto token, seems to offer an elegant solution. The Brave team's competence along with the undeniable demand for their solution seems to suggest this will be a reasonably popular browser and crypto token in the near future. While the ecosystem is worth $400 million today, it could be worth between $2 billion and $17 billion within a decade, assuming reasonable market share and evolving features. The internet is broken and fixing it seems nearly impossible. That hasn't stopped a group of internet pioneers from attempting a massive redesign of the entire experience of using the internet. They're doing this by focusing on the window nearly every internet user needs to look into the digital world - the browser. Brave Browser is an elegant solution for the ad-infested, data-hungry, outright manipulative web we've come to live with over the past few decades. It's a lot faster than most browsers simply because it blocks out all the ads and trackers websites like to overload your device with. It's got a built-in micropayment system that lets you send cryptocurrency to publishers you appreciate and want to support. In a few years, the team plans to roll out a simple ad network that clamps down on click fraud and lowers the cost for digital advertisers. It's a powerful browser that you can use right away. It's also backed by a crypto token you can buy today. But should you? In this brief report, we're going to take a look under the hood and figure out if Brave and the Basic Attention Token (BAT-USD) lives up to the hype. We'll explore the current state of digital advertising, the background of Brave developers, the potential size of the market opportunity, the risks associated with the project, and three investment scenarios token buyers must consider. Making an investment decision in crypto is tricky business, so what I'm trying to do here is simply analyze the Brave project and compare it to a real business with a similar model so that you can see the market potential and make a judgment call yourself. Half of the ten largest companies on the S&P 500 index are from the technology industry. Apple, Microsoft, Amazon, Google, and Facebook are a testament to how important technology has become to the global economy over the past few decades. However, not all tech companies are created equal. While Amazon, Apple, and Microsoft earn their revenue by selling different products to people, Google and Facebook have built their fortune selling a specific type of commodity - data. Facebook (FB) and Google (GOOG) (NASDAQ:GOOGL) are unique in their use and distribution of data. While Microsoft (NASDAQ:MSFT) might track a user's behaviour to improve their desktop operating system and Apple (NASDAQ:AAPL) could track app usage to figure out which features they should add to their next phone, Facebook and Google want to track everything about everyone. These businesses are built on unbridled curiosity, sometimes verging on intrusion. The biggest issue is that this data is up for sale to the highest bidder because unlike other tech giants, these two companies are built on a framework of digital advertising. These two companies are the juggernauts that have sucked up all the air from the advertising universe. Combined, these two companies account for nearly 84% of digital ad spending around the world (excluding China). In fact, since digital ad spending is becoming a bigger part of overall ad spending, this duopoly could be responsible for a majority of ads most people ever see. In turn, this makes this duopoly responsible for much of the content on the internet. The myth of free content online was the internet's original sin. According to Polish-American web developer and entrepreneur, Maciej Cegłowski, the internet has become an unavoidable surveillance state because so much of it is driven by digital advertising. The idea of a 'free' web is so deeply ingrained in the minds of users that shifting to another model seems nearly impossible. This 'free web' fails to live up to its potential and diminishes the value of the internet for everyone involved. Users are compelled to part with deeply private data while using online platforms and must sacrifice a significant amount of time and money. Users are slowly getting aware about the amount of data they supply to web giants but haven't yet taken into account the amount of money spent on data charges to download online ads and trackers. According to Facebook's product manager Rob Leathern, the average user spends $23 month in data charges to download ads and trackers. A study by the New York Times in 2015 found that nearly half of all the data used to load 50 sites was for ads and trackers. Surprisingly, that amount is nearly 4x higher than what Facebook and Google earn per user. 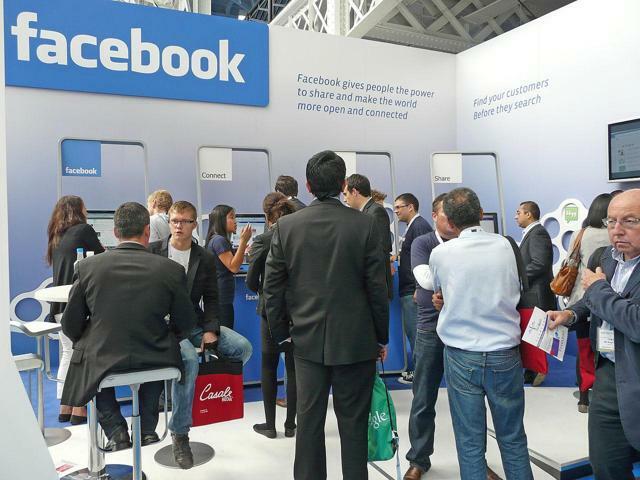 Facebook earned $6.09 per user in monthly revenue, according to latest data. Meanwhile, advertisers are also missing out. AdAge estimates that nearly 1 in 5 ad-hosting websites are visited exclusively by bots (non-human users). Since 2016, advertisers have lost an estimated $7 billion a year on fake clicks and ad interactions with non-human users. This drain is not only significant but is also growing rapidly. In 2018, click fraud is estimated to grow by 50%. Everyone in this ecosystem loses. Users get a cluttered experience, marketers don't know where their ad dollars are going, and the media landscape is turned into a destructive duopoly. In fact, even the founders of Google and Facebook started off hating the advertising model. They've reluctantly succumbed to the pressure of monetizing through ads over the years. It's fair to say that the advertising model is the biggest issue with the internet today. It's created an ecosystem with misaligned expectations and built-in value destruction. It's also remarkably difficult to break away from this mould. However, the rise of Netflix and Patreon demonstrate that attitudes are changing. People are more willing to pay for high-quality content online and support creators who they appreciate. At last count, Netflix had 139 million paying subscribers and over 1 million monthly Patreon users paid out $150 million to 50,000 creators on the platform in 2018. From small donations on Kickstarter to micro-payments on Twitch, there's a clear trend of people paying for content they love and appreciate online. Which means the Brave Browser has arrived at a crucial turning point in digital history. Brave combines these emerging trends in online content creation, patronage, cryptocurrencies, and data security to create a hybrid solution for everyone involved. The browser is probably the most familiar and simple digital application. It's been around since the dawn of the internet, so even the oldest and most tech-averse users will be open to adopting it. Meanwhile, the built-in micro payment system is an elegant solution. The one-time process of setting up a budget and funding the account with Basic Attention Tokens ("BATS") takes only a few minutes and doesn't hinder the web experience in any way. The native blocking of ads and trackers promises a degree of privacy unparalleled in the industry today. It also helps users cut down on their monthly data bill. The use of cryptocurrency allows users and publishers from all over the world to participate in the market without worrying about transfer fees and local capital restrictions. Brave browser and its associated token seem to fill a gap in the digital marketing realm. But fighting against two of the largest tech companies in the world needs more than just a clever platform and a blockchain-based innovation. It needs a team of experts who understand this industry better than anyone else and have a history of creating disruptive technical solutions. Brave's co-founder, Brian Bondy, has worked on Firefox, Evernote, and Khan Academy. Brian serves as the CTO and lead developer for Brave Software. Brian has either been the lead developer or a significant contributor to development projects ranging from Khan Academy's mobile app to the Firefox browser for Windows 8. The company's other employees include Marshall Rose, a network protocol engineer, and Yan Zhu, Senior Software Engineer at Brave and a Technology Fellow at the Electronic Frontier Foundation. With a B.S. from MIT in Physics, Yan Zhu previously worked at Yahoo's security department. Marshall Rise has a PhD in Information and Computer Science from the University of California, Irvine. Relatively unknown Rose is a start developer who's credited with actually setting the standards for the modern internet. 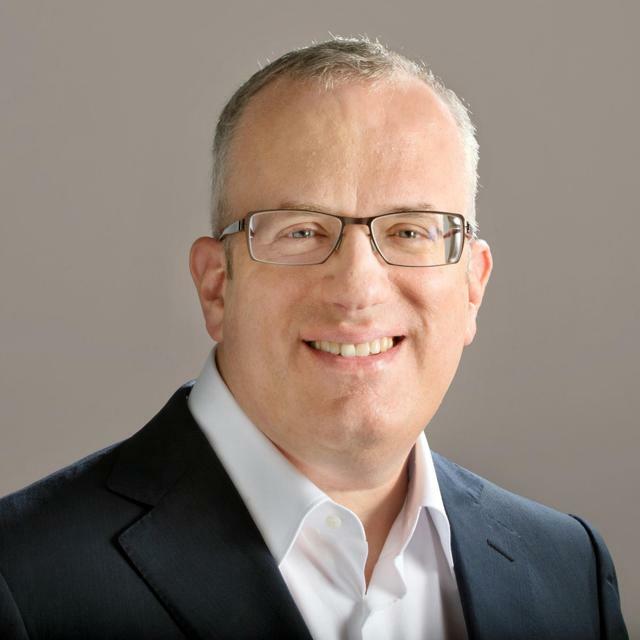 As the area director of the Internet Engineering Task Force ("IETF"), he oversaw the process of standardizing internet protocols and personally wrote 60 of the Internet's Requests For Comments ("RFCS"). These RFCs eventually become important protocols and standards for the internet with boring sounding abbreviations like HTTPS, BEEP, and TCP. In other words, Brave's team is an impressive collection of young talented developers and experienced architects of the early internet. In a world where crypto tokens are launched by developers in their early-20's without a LinkedIn page, this fact alone should make a reasonable bull case for the Brave software and crypto assets. Currently over 5.5 million monthly active users. 24.5% desktop users and 75.5% mobile users. Majority of users reside in the U.S. and the EU. Over 16,000 websites are currently Brave-verified. Over 61,000 YouTube creators and Twitch streamers have verified with Brave. $1M equivalent in BAT distributed to 52,829 Brave-verified publishers and creators. The Referral program is still active. Launched opt-in ads and ad management solutions for users in early 2019. Now users can earn for watching ads on the platform. Weekly BAT Community merchandise giveaways every Monday, Tuesday, and Wednesday. The BAT Roadmap 1.0 was published in June 2017. It lays out the Brave team's intentions with the proceeds from ICO of "BATs" and roadmap for development across 2019. The team intends to use the proceeds from the ICO to hire key talent that can help them build their platform. Part of the funds are also kept aside for publishers, affiliates, and new users, to help kickstart adoption for the browser. The team hopes to use some of the funds to incentivise entrepreneurs and developers to create new platforms in the future based on "BAT". The roadmap mentions contests or investments for "other attention-economy apps, from browsers to games and beyond." This implies that the Brave ecosystem will eventually move beyond the browser and be integrated in games, mobile operating systems, and other digital platforms. As of 2019, the project is in its second phase of development, known as "BAT" Gemini. During this phase, the team will integrate machine learning to optimize the browser, offer better data analytics tools to publishers, experiment with restricted ads on the platform, and adopt anti-fraud tools. The team hopes to start generating revenue in this phase "as [the] system performs as well as or better than status quo ad-tech." For the rest of 2019, the Brave team hopes to expand the growth pool, start incentivising users to view ads and work to move from Brave Ledger confirmation and revenue flows to entirely decentralized on Ethereum flows using a state channel with ZKP for anonymity. It is clear that the team expects this ecosystem to touch every aspect of users' digital lives. An integrated approach based on open-source specifications could work for Brave the same way it did for Android and Google's current ecosystem of apps. The Brave team is squarely focused on digital advertising. The market for digital ads is enormous and rapidly expanding. As of May 2018, digital advertising is a $237 billion industry. By 2022, more than half of all the money spent on any form of advertising will be digital and the market will grow to an estimated $347 billion in annual revenue. Over the course of the next 4 years, this industry will compound at an annual rate of 10%. The market is currently dominated by Google and Facebook. Google is expected to earn $130 billion in annual revenue over the next twelve months, while Facebook could easily surpass $50 billion. Combined, the two digital advertising behemoths could account for 75% of all digital ad revenue in 2018. Both these platforms are deeply entrenched. Facebook owns three of the most popular apps on mobile devices (Messenger, WhatsApp, and Instagram) while Google Android OS accounts for 85% of all devices shipped in 2018. Any upstart like Brave faces an impossibly steep challenge winning market share. However, there's a reason to believe the Brave ecosystem could create a sizable niche despite the might of these tech giants. Brave's core design targets the Achilles' heel of Google/Facebook's business model - data privacy. Brave is in a unique position to design a web experience from scratch, avoiding all the mistakes these tech behemoths made while creating their platforms. Neither Google nor Facebook can afford to dent advertising revenues by reimagining their platforms. This opens a window of opportunity for the Brave team to create a competitive moat and sustain it over the long term. Brave's valuation and market opportunity rely on its Total Addressable Market or TAM. Since there's no way to know for sure how much traction this platform will achieve, we have presented the most optimistic ("BULL"), the most pessimistic ("BEAR"), and the most realistic (base) case below. All three cases are based on a medium-term outlook with projections to 2022. Google and Facebook are still dominant players in digital advertising and online platforms, even under our most optimistic assumptions. Tech behemoths, media giants, and sovereign governments have been unable to tame this duopoly, so it seems reasonable to assume the Brave team won't topple them either. Instead, the bull case assumes that BATs and the Brave browser get significant traction with niche groups of internet users - content creators, publishers with paywalls, privacy-focused users, and power users (web developers, users who need a script-free browsing experience). It's fair to assume people who pay a monthly subscription for Bloomberg Businessweek or contribute a monthly amount to favorite YouTuber will gladly adopt Brave's clean and simple platform. However, since the ecosystem blocks ads by design, enables users to opt-in to certain ads, and doesn't give advertisers the power to micro-target, the value of Brave's 15% chunk of the digital advertising market cannot be the same as current estimates of the market under ordinary conditions. In other words, since advertisers pay less for these ads and more users will opt for an ad-free experience, the value will be less than $52 billion. The 300 million monthly active user base can be justified on the basis of the fact that nearly 11% of all internet users now have some form of ad-blocking software installed on their device. By 2017, 615 million devices had ad blocking software and the rate of annual growth in this number is expected to be 30%. If the trend continues there could be 1.8 billion connected devices with ad blocking software by 2022. The 300 million figure assumes 15% of Facebook monthly active users (a proxy for total internet users) will use Brave. 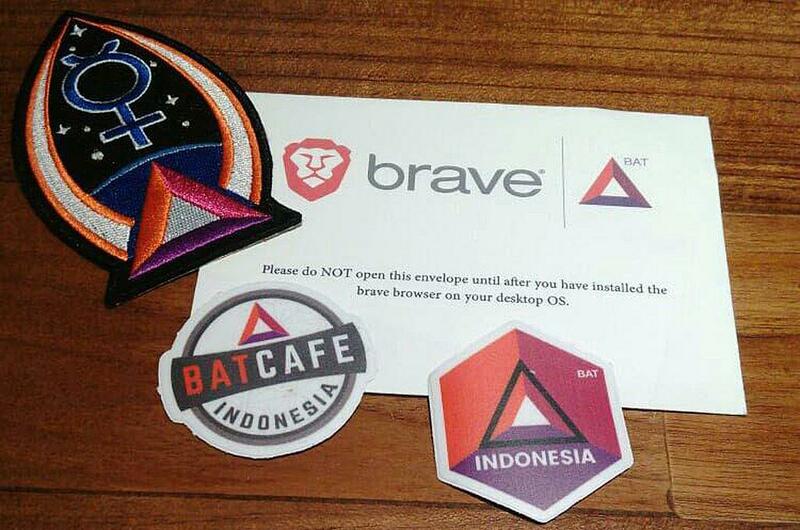 The worst-case scenario for Brave is used within a tiny niche, there's no expansion in the ecosystem, relatively few publishers, few advertisers, and a small portion of users willing to part with BATs on the system. The Brave team remains small with some noteworthy talented individuals leaving the team. What's left is a browser that serves a small group of users, gets updated occasionally, and still provides a relatively pleasant browsing experience. With 1% of the digital advertising market, the ceiling on Brave's valuation is $3 billion. However, in the worst-case scenario, the ecosystem will be worth nowhere close to that. The Brave Browser could be used by just as many people as DuckDuckGo users and remain under the radar for years. Publishers are paid only by 0.5% of the 25 million users, which means the value per user could barely cross $10 annually. In this scenario, the value of the whole ecosystem is $250 million. There are factors that complicate the valuation a bit when it comes to any cryptocurrency. The first is, of course, liquidity. Bitcoin (BTC-USD) is the clear leader in this space with 51% dominance. Liquidity in the market for Bitcoin is incomparably higher than that for BAT. In other words, offloading or buying Basic Attention Tokens in large quantities is somewhat restricted by the $400 million market cap, and investors should take that into account. However, at the time of writing the 24-hour trading volume for BAT was above $54 million, which is better than most small-cap stocks. Besides that, BAT is now listed on all major exchanges including Binance and Coinbase Pro. Also, the fact that Brave Browser users are already using and earning cryptocurrency for watching ads and paying for user attention is another factor that underlies robust liquidity in the ecosystem. Big publishers adopt Brave payments for their paywall. Ecosystem expands to games, ebooks, live streams, and a lot more. The most realistic outlook for Brave is a continuation of the current trend of growth and adoption. Brave could increase users 50x within 5 years by partnering with big publishers, affiliates, and famous content creators. The fact that Twitch, YouTube, and Barron's are now partners of Brave goes to show that publishers see value in Brave's proposition and are willing to adopt BATs as a form of payment for their content. To figure out how much people are willing to pay for content, we looked at Patreon Statistics. The platform had 1 million subscribers in 2017 and content creators were paid out $150 million over the course of the year. That means the average revenue per subscriber is $150 or nearly $12.5 per month. 5% of the digital advertising market in 2022 could be worth $17b, which is the ceiling of the base case. The floor is $2.5b. The assumption is that the average user spends $10 a month on supporting publishers and advertising adds another $10 per month. Annual revenue from advertising and publisher payments could be $250 per user. With 100 million users, that pushes the value of the ecosystem up to $2.5billion. It is worth noting that the ecosystem offers more features and options than Patreon. Patreon's current market cap - $450 million at the latest funding round, which means a billion-dollar valuation for Brave doesn't seem far-fetched. The Brave Ecosystem is relatively robust and is worth at least half its current value even in the worst case scenario. That might not sound like much for a regular stock, but it's saying a lot for a cryptocurrency. I believe this is one of the more promising blockchain projects in the sector, which is why I own a small amount myself and I believe you should take a closer look as well. Disclosure: I am/we are long BAT-USD, BTC-USD. I wrote this article myself, and it expresses my own opinions. I am not receiving compensation for it (other than from Seeking Alpha). I have no business relationship with any company whose stock is mentioned in this article. Additional disclosure: I have owned a small amount of BAT and BTC since 2017.